Ring in the New Year with 60% Savings on an 11-day Antarctica Cruise with Expedition Trips. Experience the wonders of the Antarctic with Expedition Trips, specialists in small ship expedition cruises, while taking full advantage of the luxurious all-inclusive lifestyle afforded by the 132-passenger Prince Albert II, a purpose-built expedition ship designed specifically for navigating waters in some of the world’s most remote destinations, including both of earth’s polar regions. This voyage offers passengers uncompromising service including the most spacious suites and comfortable common areas of any expedition ship. Summary: Antarctica is the modern explorer’s final frontier. Hear the cries of penguins multiplied by the thousands, watch leopard seals and sea lions perfectly at ease in the company of visitors, feel the unspeakable magnificence of a whale breaching from beneath cold ocean waters. Astounding animal encounters – opportunities found nowhere else on earth. 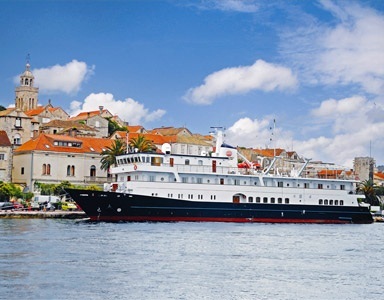 Highlights: Luxury expedition ship with 5-star service, fantastic cuisine, and experienced naturalist guides. Most cabins have a veranda. Offer Details: Expedition Trips offer exclusive savings up to 45-60% per person off regular cruise rates. [No discount on the charter airfare ($800 - $850) included in cruise rate. No discount on port charges in 2011 ($100).] Offer based on availability and subject to change. About Expedition Trips: With over 50 years experience, leading and planning expeditions worldwide, Expedition Trips offers exciting adventure travel and cruises on small-ship expeditions to Antarctica, the Galapagos Islands, Alaska and beyond. 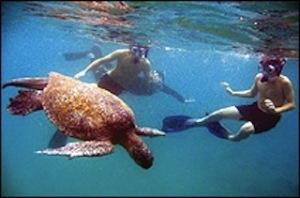 For more information, call toll-free (877) 412-8527 or visit www.ExpeditionTrips.com. Mark the beginning of the Charles Darwin anniversary year with unprecedented savings of $2,300 per person on select Abercrombie & Kent Galápagos departures between January 8 - February 5, 2009 including Wonders of the Galápagos, Wonders of Peru & the Galápagos and Signature Peru & the Galápagos journeys. Independent travellers may apply these savings to any Tailor Made journey to the Galápagos. Commemorate the 200th anniversary of Charles Darwin’s birth and the 150th anniversary of the publication of his seminal work On the Origin of Species in the same places that inspired him. January is the time of year when land birds are nesting and green sea turtles come ashore to lay their eggs. Adult marine iguanas become brightly coloured in preparation for mating season. Experience the natural world just as Darwin did — to a degree that’s virtually impossible anywhere else. Since inspiring Charles Darwin’s theory of evolution, the Galapagos has gone from an uninhabited island chain to a global hub of ecotourism. To kick off the year of Darwin’s 200th birthday, International Expeditions is celebrating with $500 per person — $1,000 per couple — savings on its January 2 and 16, 2009 voyages. Like all Galapagos Islands departures with the world leader in nature travel, these will bring guests face to face with some of the most interesting and accessible wildlife anywhere. During the intimate 10-day Galapagos cruise, guests come just inches from giant tortoises, blue-footed boobies, sea lions, penguins, iguanas and many other animals. International Expeditions’ renowned naturalist guides — all Galapagos National Park-certified with top “Naturalist Level 3” designations — lead talks about the islands’ highly diverse and rich ecosystems featuring desert landscapes, lush highland forests, volcanic soils and nutrient-rich waters, and discussions on conservation practices to protect this fragile environment. International Expeditions’ 32-passenger M/V Evolution navigates the islands, and unlike larger vessels, the expedition ship is small enough to access some of the most compelling sites, like Genovesa (Tower) Island, home to red-footed booby and frigatebird colonies. The ship’s pangas (landing craft) are used several times a day and with space for all to go easily and quickly ashore, there’s no queuing up. 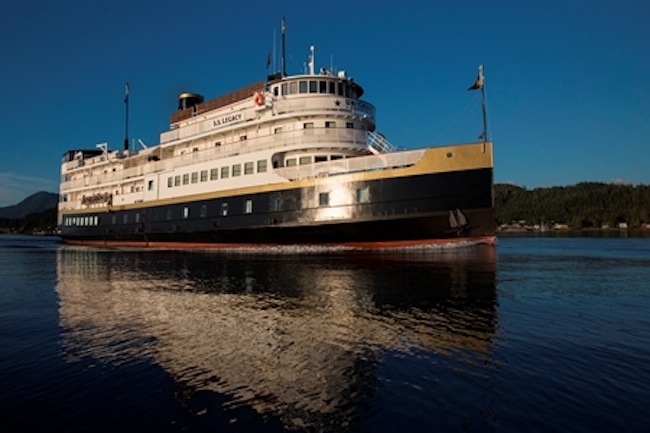 Accommodations aboard the Evolution are spacious and comfortable, with a host of amenities including an observation deck, sun deck and canopied bar (a superb place for whale watching). 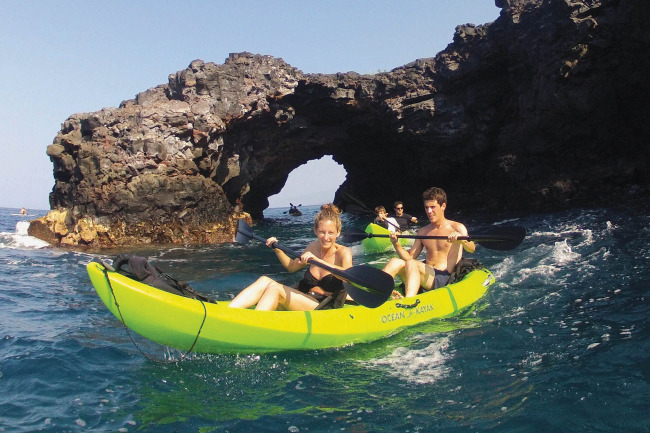 Complimentary snorkeling equipment, wet suits and kayaks are available for use on a variety of excursions.